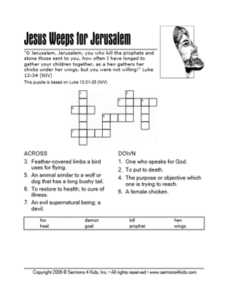 This issue of Kid’s Korner is written by Jeffrey Broadnax, GCI Generations Ministry coordinator. 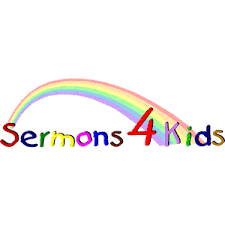 In this month’s issue of Kid’s Korner, we would like to make you aware of a fantastic Children’s church resource shared with us by Pastor Mike Urmie of Crosswalk Community Church (our Grace Communion congregation in Surrey Hills, OK). You will find that the items on this website work hand in hand with the RCL-based sermons shared in GCI-Equipper. 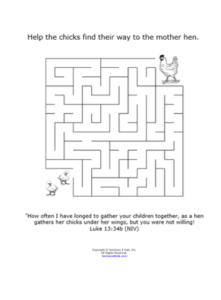 You will find coloring pages, word-finders, mazes and other activities for children to complete that can offer an age-appropriate connection to the same message being giving in the sanctuary to the adults. Imagine the conversation on the way home from church when all heard the same teaching about Jesus. There are also songs and stories included that could be taught to the children to aid in their learning. Why not check it out for your children’s church this month.